The green light will be shown up once the adapter plugged in. It means the adapter is safe to use and connected well. Are you worried that the adapter will fire your devices up? 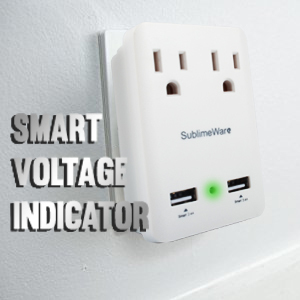 With the technology of the built-in surge protection in our adapter, it protects protects your high end electronics from harmful voltage surges and spikes AND make sure your devices are compatible with the adapter. 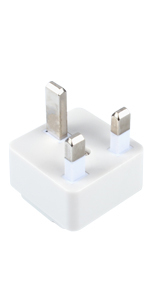 Those 2 ourlets are 3 pin ground connection which is for most countries and allows you to plug in your devices safely. [THE PERFECT POWER PLUG ADAPTER] Use this Universal Power Adapter to 150+ countries, fits with US UK EU CHINA Portugal Indonesia Vietnam & European outlets. The International Adapter Kit comes with 5 interchanging plug types for different regions, which are Type C Type A Type G Type L & Type I. 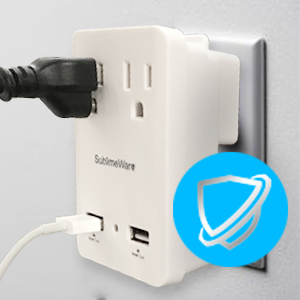 [SIMULTAINEOUSLY CHARGING 4 DEVICES] This international power adapter comes with 2 AC Outlets, allowing you to charge 2 devices such as Laptop & camera at a time. The USB ports on this European to American adapter can charge iPhone MAX/7/7 Plus, 6/6S, 6/6S Plus, iPad Air/Mini; Samsung Galaxy S9, S7, S6, S5, Note, Tab; HTC; Nexus; Huawei series/Bluetooth Speaker Headset/ GoPro / Powerbank and USB Powered Devices. [SMART CHARGING TECH] The USB Ports of this European plug adapter are QC3.0 + 2.4A w/ Smart Charging, directing current to device that needs more power. 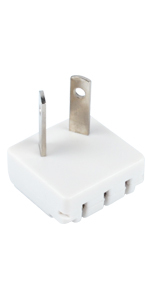 The input voltage for the European plug adapter is 100-240 VAC with 2000W Max AC Output Power. 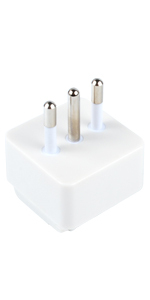 [SMALL YET POWERFUL] The Plug for Europe is small as a size of a palm & weight only 12 oz, yet it can provide up to 2000W of current for multiple uses. This european adapter is perfect for vacation, business trip, or even at home or office where mutiple devices need to be charged. 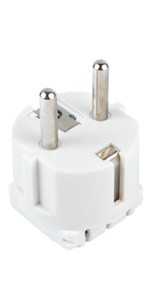 ***PLEASE NOTE: This International Adaptor Plug is NOT a voltage convertor, for high power electronics such as a high dryer and shaver make sure the voltage of the device matches with the outlet. 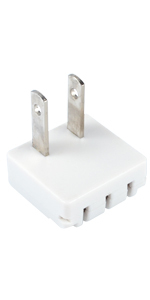 Also USB port outputs of this power plug adapter are not compatible with devices that use power in excess of 5Vdc.